Central Asia (GV) – It wasn’t just about the first ladies and their matching shoes, although that didn’t go unnoticed; Uzbek President Shavkat Mirziyoyev’s visit to Kyrgyzstan last week marked a sea change in relations between two Central Asian countries that up until recently, lived in the long shadow cast by his uncompromising predecessor. Islam Karimov, who ruled Uzbekistan from before independence from the Soviet Union in 1991 until his death last year, had few nice things to say about Kyrgyzstan. Locked in seemingly perennial struggles over land and water, Karimov once talked up a war with both Kyrgyzstan and neighbouring Tajikistan over the impoverished pair’s plans to build giant hydroelectric dams upstream from Uzbekistan. A meeting of ex-Soviet heads of state in 2015 in Moscow during which Karimov rebuked Atambayev in humiliating fashion following a perceived slight — even poker-faced Russian President Vladimir Putin can be seen wincing at the awkwardness of the situation — offers a taste of the bad old days of bilateral relations. Very pleasant. We have known your opinion for a long time. One video of the exchange titled Karimov Atambayev Fight has over 1.3 million views and features heated arguments among Kyrgyz and Uzbeks in the comments section. Relations between leaders can set the tone for relations between peoples. That is why the visit to the Kyrgyz capital Bishkek of Mirziyoyev, Karimov’s former Prime Minister of more than a decade, was so significant. Mirziyoyev’s visit to Bishkek resulted in an agreement to delineate 85 percent of the two nations’ shared 1,170-kilometer border. The border issue had long been an irritant in relations. 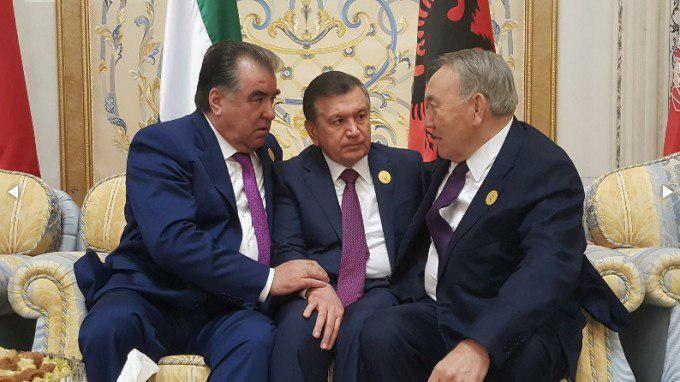 But Mirziyoyev dangled the prospect of something potentially even more momentous when he spoke about Uzbekistan’s potential involvement in Kyrgyz hydropower projects. The late Uzbek leader Islam Karimov had steadfastly opposed such plans on the grounds that they could disrupt Tashkent’s economically important agricultural sector, especially the cotton crop. On Twitter, Kyrgyz citizens hailed the first bilateral meeting between leaders of the two countries since 2000. Kyrgyzstan has had four presidents during that period, two of them overthrown in street protests. The sensation is in the goodwill of the Uzbek leader. Mirziyoyev is so open, friendly, and well-wishing that it can only bring us delight! Мирзиёев: Между Кыргызстаном и Узбекистаном было много вопросов, которые вроде бы решались, но решались не так, как нужно было. Mirziyoyev: There were many issues between Kyrgyzstan and Uzbekistan that should have been solved, but weren’t solved in the way they ought to have been. The following day, the two countries reopened a crossing of their shared border that had been closed since political turmoil enveloped Kyrgyzstan in 2010. The opening was attended by thousands of local residents on either side of the frontier. One lasting image from the bilateral visit was the sight of Kyrgyz first lady Raisa Atambayeva and Uzbek counterpart Ziroatkhon Hoshimova walking hand in hand after the Uzbek delegation touched down, apparently wearing matching shoes. Kyrgyz social media was bowled over by the stylishness of the Uzbek first lady, who one online outlet sent up using the title of a 1990s pop song popular in karaoke restaurants across the former USSR: Ah What a Woman! Hoshimova walks on Atambayeva’s left hand side in the footage below. Uzbekistan is still a fairly brutal dictatorship by global standards, even if there have been some signs of a so-called ‘thaw’ in the country’s domestic politics. 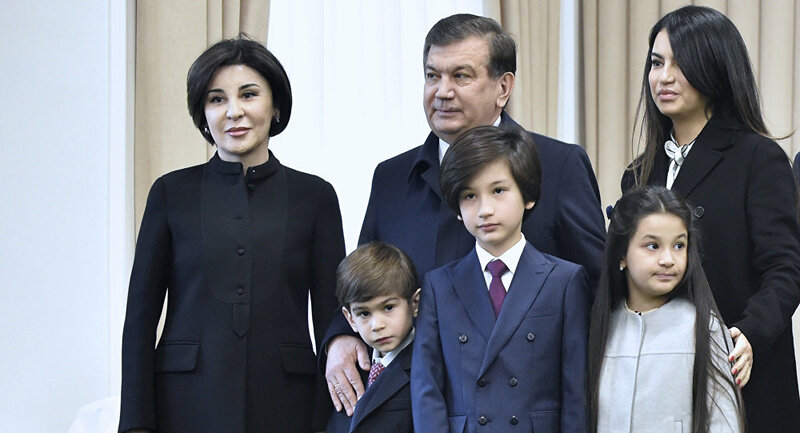 The advantage of this from the perspective of Kyrgyzstan is that Mirziyoyev, who has made regional relations his foreign policy priority, is likely to be in power for as long as he lives. That is also good news for Tajikistan, which has yet to receive Mirziyoyev over a year after he came to power, but is also hopeful that better relations are in the pipeline.